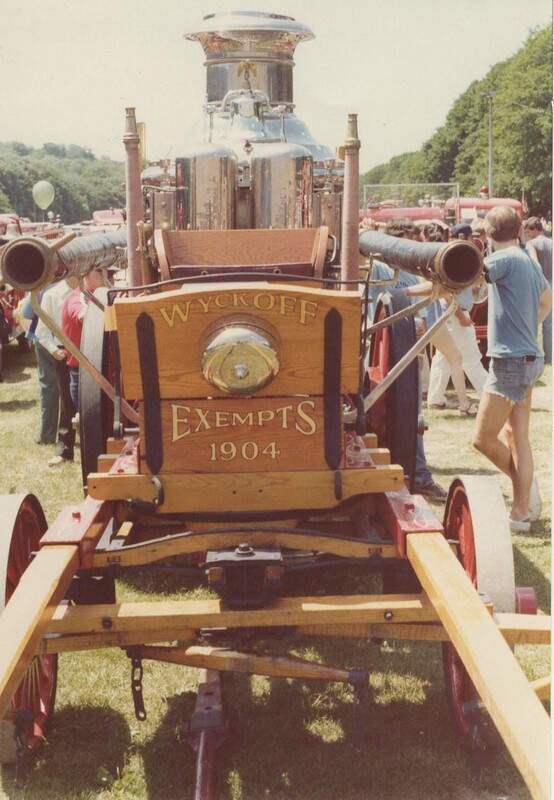 The Nott Fire Engine Company went into business in 1904. 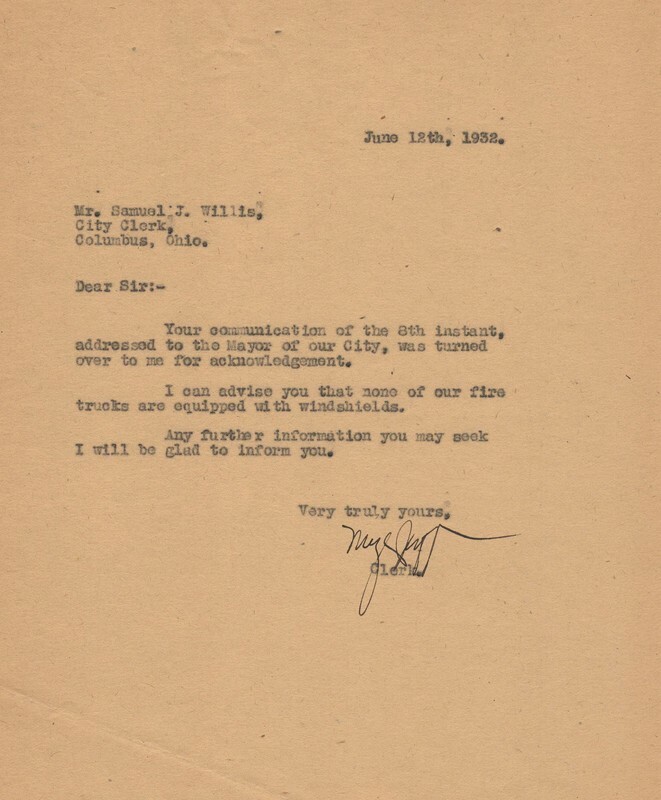 The board of alderman placed the order for two steamers with the Nott Company in July 1905: Nott steamers had spiral flange tubular boilers. 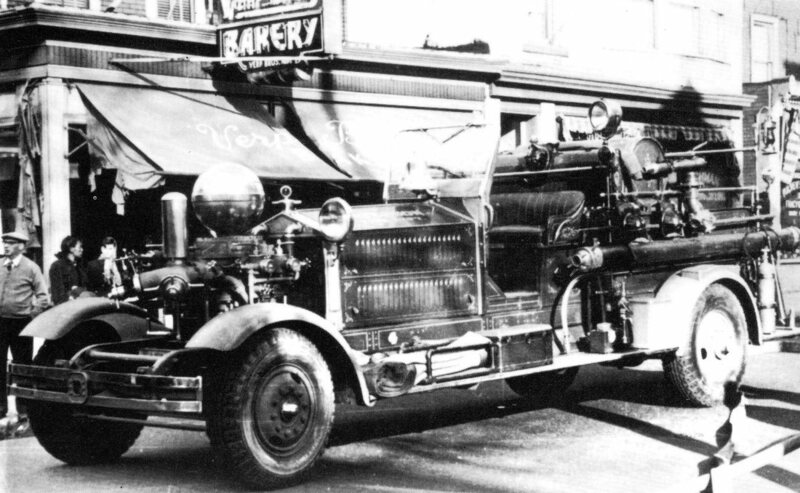 The new first and second size Nott Steamers went into service December 12 1905 as Engine 4 and 8 (register #633) respectively. 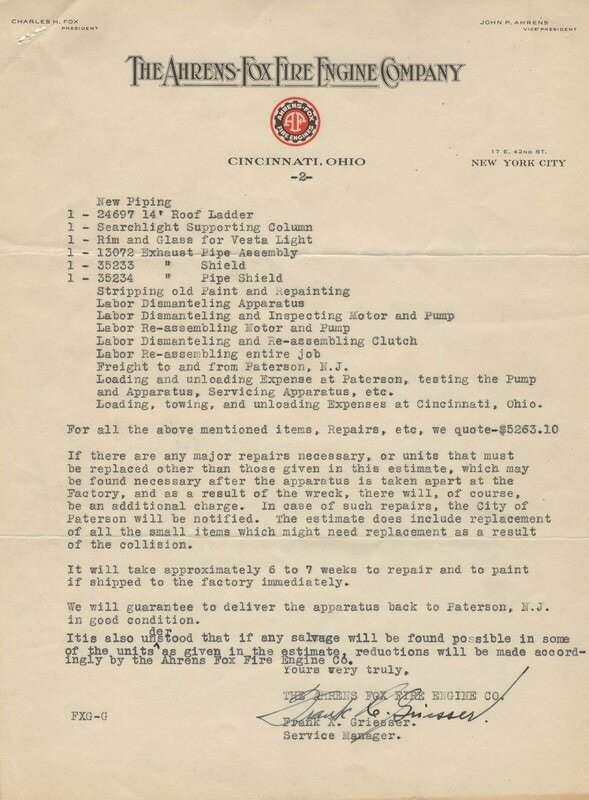 But within ten years both of the Nott boilers had to be replaced. 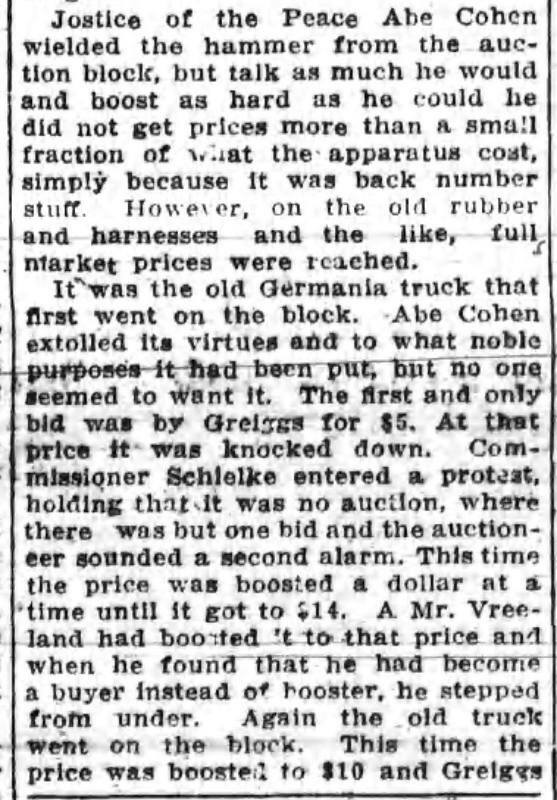 In November 1915, a $1475 contract was awarded to Ahrens Fox to install a Continental Boiler and band brakes on the 1905 Nott Steamer (#633) of Engine Company 8. 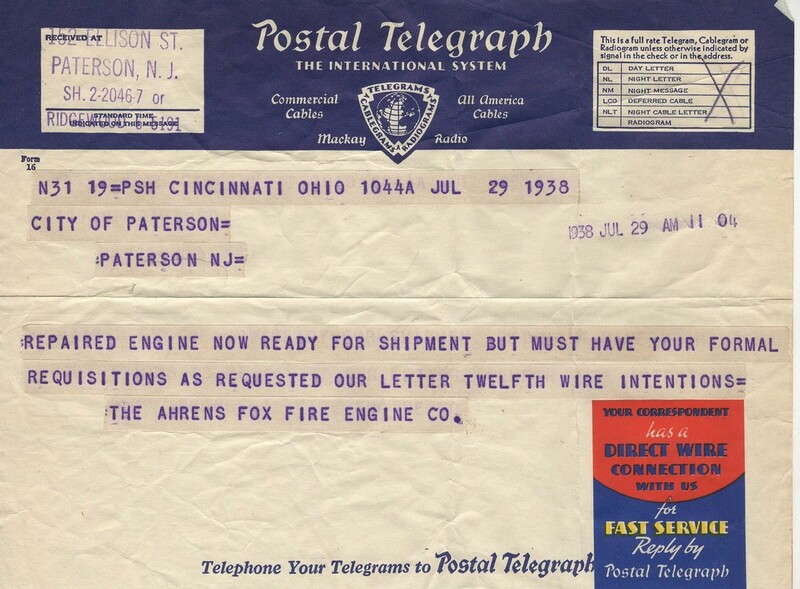 The steamer was sent to Ahrens Fox in Cincinnati in January of 1916. 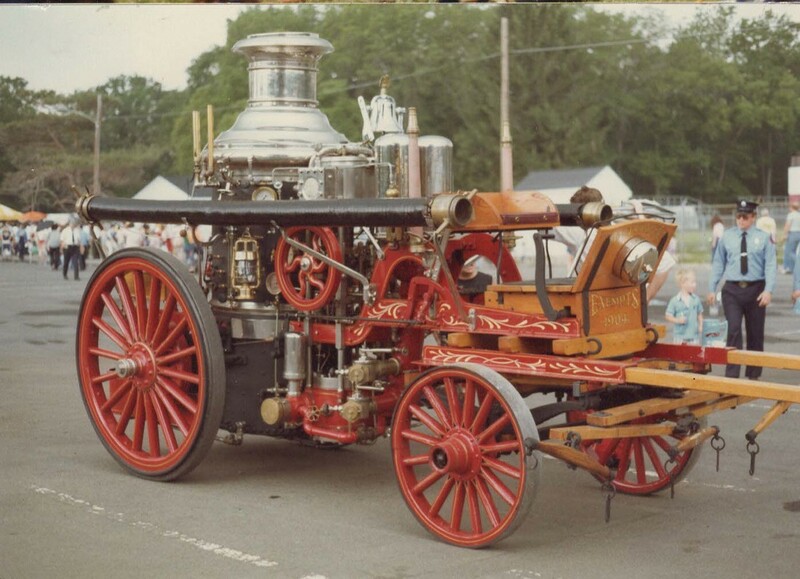 A Christie Tractor was also added and it returned to service on March 17, 1916 (see photo below) This Nott Steamer was the only motorized Paterson Steamer that never received an electric tractor. 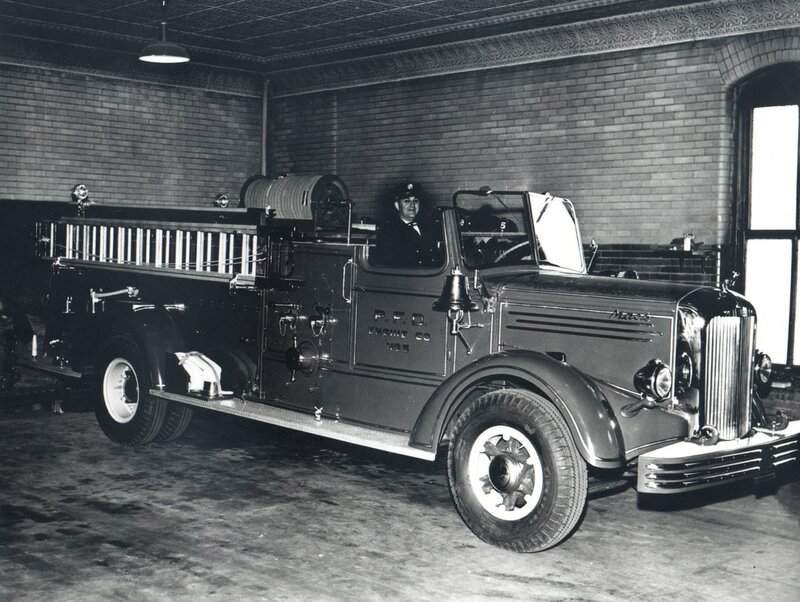 It was retired when a new Ahrens Fox pumper (#3311) replaced it at Engine 8 on December 20, 1927. 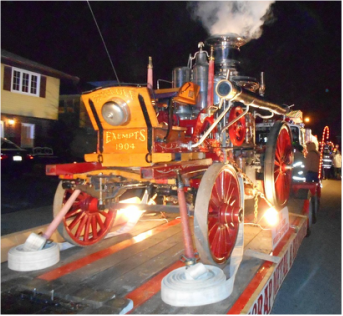 The steamer was subsequently sold to a coal-mining operation somewhere in Pennsylvania: the Christie tractor was scrapped and the steamer used to pump water out off mine shafts. 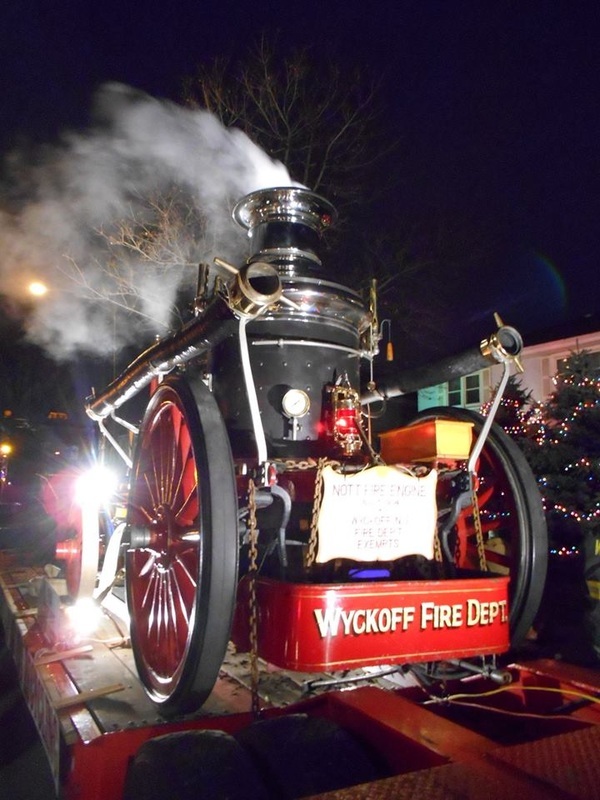 It was ultimately acquired and restored, converting it back to hores drawn by the Wyckoff, NJ fire department. In actuality, because of its boiler it is now an Ahrens Fox, not a Nott Steamer. 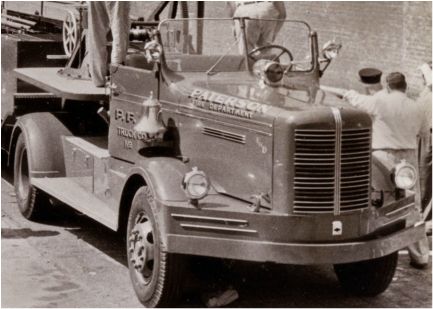 The first apparatus that Paterson ever ordered with a windshield were the 1948 Mack Pumpers. 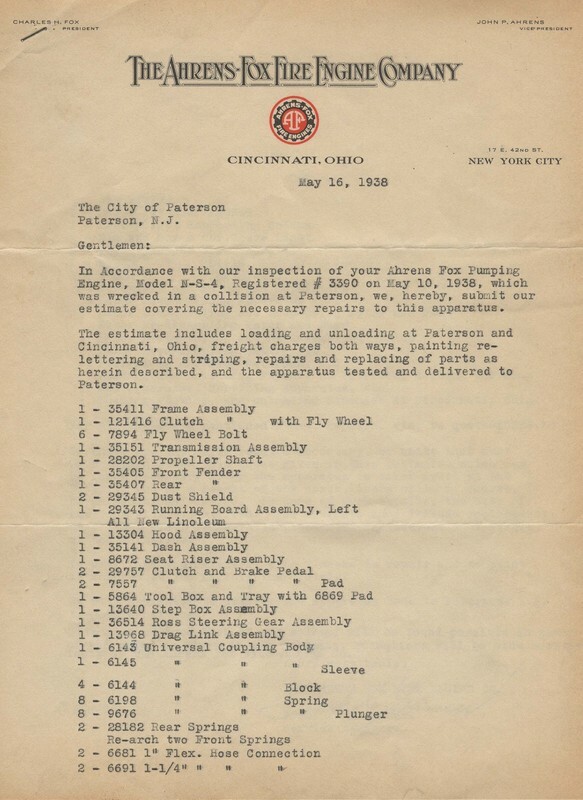 In 1949 PFD purchased a used Ahrens Fox aerial from Hastings on Hudson that had a windshield. 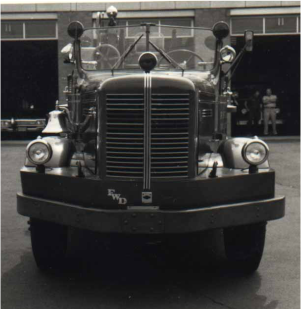 Ahrens Fox also gifted PFD a windshield which was installed on Ahrens fox pumper 2312 (while assigned to Engine Company 4) in 1952. Paterson NJ Morning Call - Twenty three persons including six firemen of Engine Company 9, operating out of the 586 Main Street firehouse, were injured shortly before 11 O’clock last night when a Paterson – Passaic bus owned by the Public Service Transportation Company crashed into the side of the apparatus of Engine Co. 9 in front of the fire company’s quarters on Main Street near Van Winkle. An immediate investigation was launched by Police and Fire officials with Fire Chief Thomas Coyle. An alarm of fire was sounded from station 522, Main Street and 21st Avenue at 10:57 PM for a reported gas explosion. What turned out to be a working fire located at 79 21st Avenue. 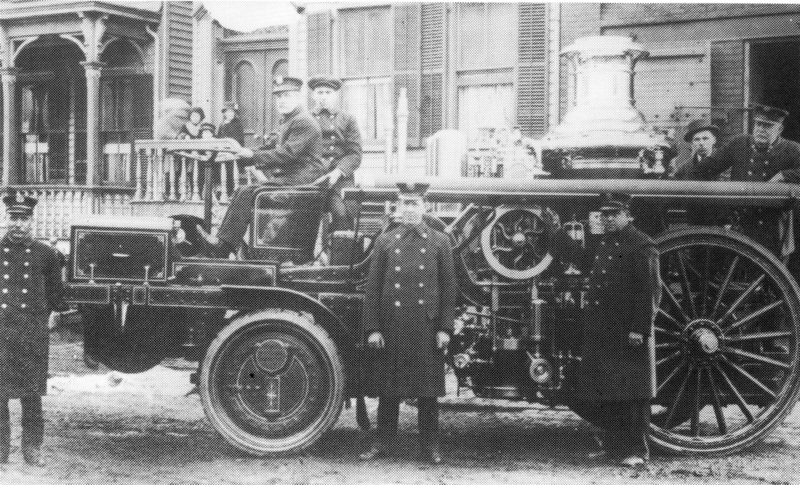 Engine 9 responded with Captain Hobart Strathern (38) and Driver Stephen Walls (54) plus four other firefighters William McCorry, Daniel Stevens, David Quakenbush and Joseph Carr standing on the rear step. 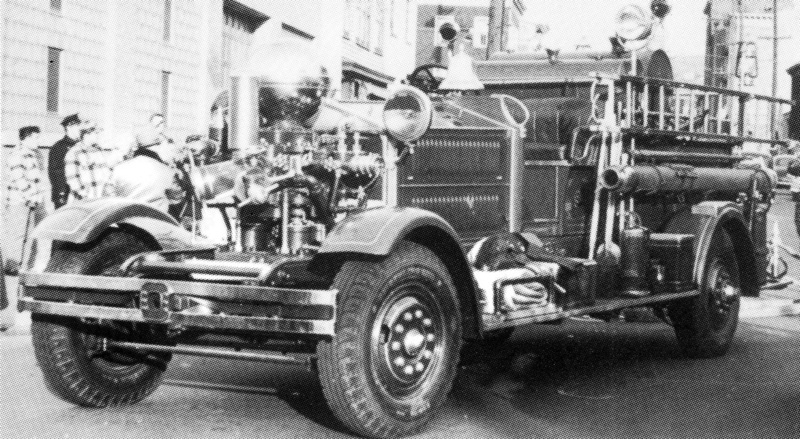 As the engine started to respond from the firehouse Captain Strathern stated he began to sound the siren mounted on the apparatus as they left quarters, Just as they pulled onto Main Street driver Walls spotted a bus coming southbound on Main Street at a high rate of speed, firefighter Walls turned Engine 9 north and applied the brakes so the bus could pass them heading toward Passaic. 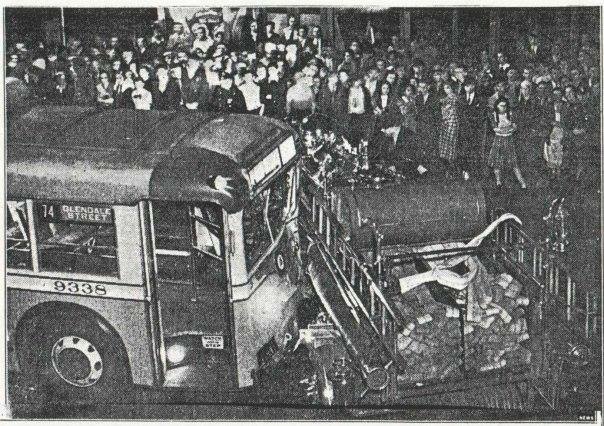 Instead there was a sickening crash as the gas electric bus slammed directly into the center of the fire apparatus. 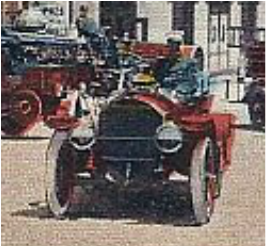 Captain Strathern and driver Walls were thrown from the front seat and the four firemen on the rear were hurled to the pavement. 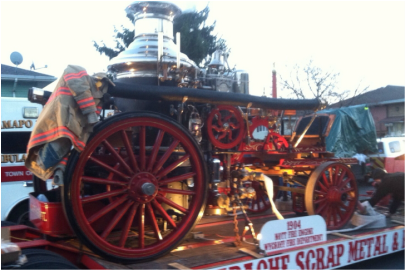 Captain Strathearn became wedged between the front of the bus and his fire apparatus. 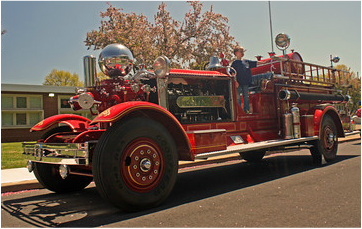 After freeing himself the first thing he did was shut off the ignition switch on Engine 9 to prevent a fire. Thirty five gallons of gasoline are stored in a tank located directly behind the front seat. 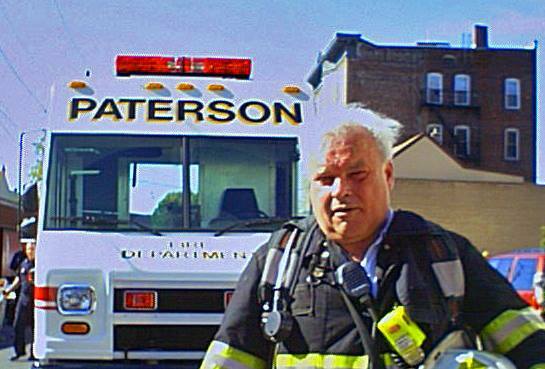 Just recently he recalled that firefighters in New York City were injured when their gas tank exploded in a crash. Captain Strathearn received injuries to his left leg and hip, also injured in the crash were driver Walls with a fractured arm and FF. Stevens with knee injuries. FF. 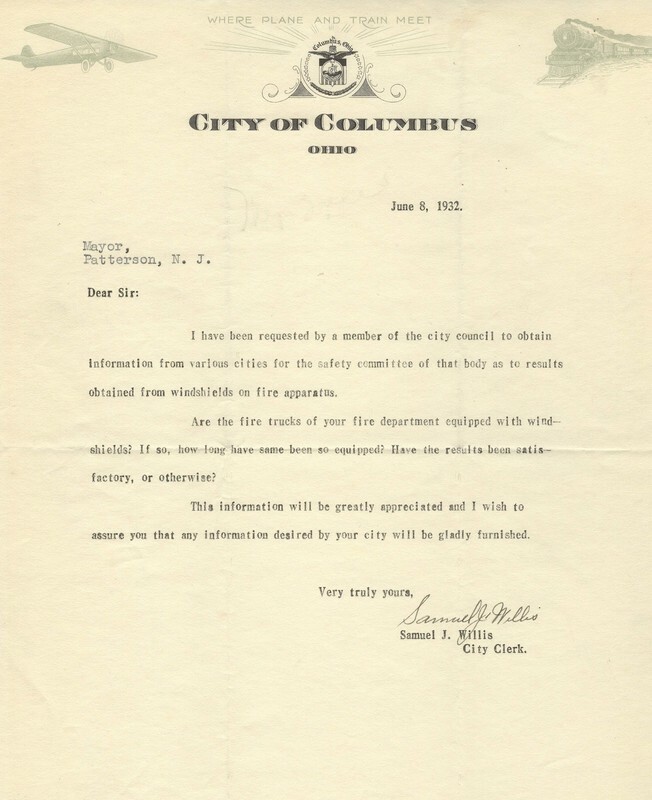 Quakenbush had lacerations to the chest and head and FF. Carr received bruises to the body and legs. 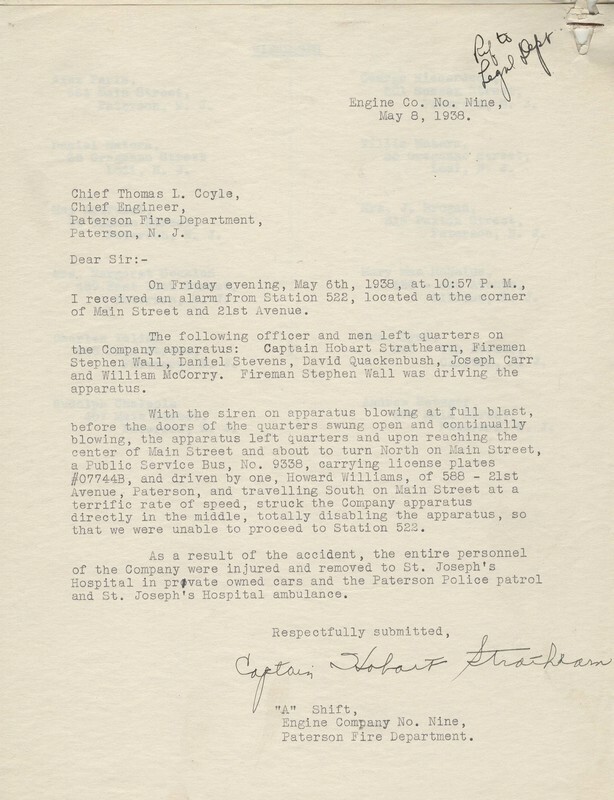 All were treated at Saint Joseph’s Hospital by honorary Fire Surgeons. 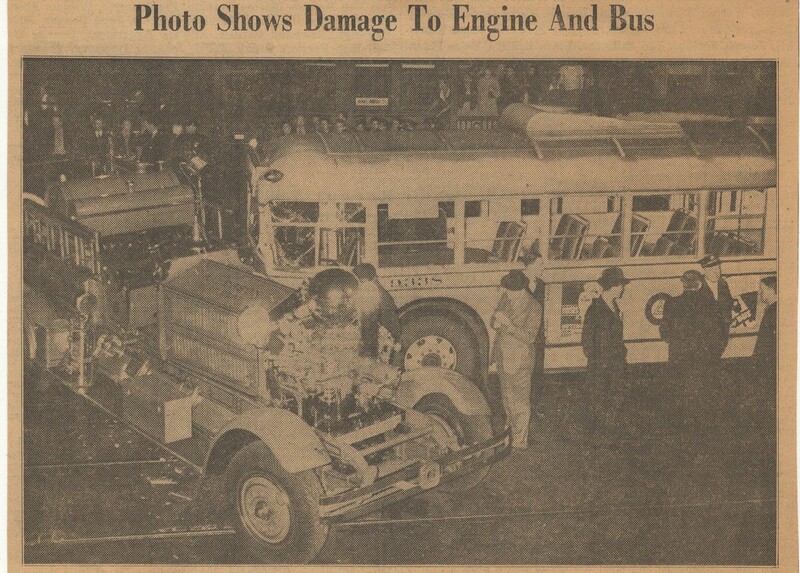 All 23 injured civilians on the bus only received minor bruises and most suffered shock. 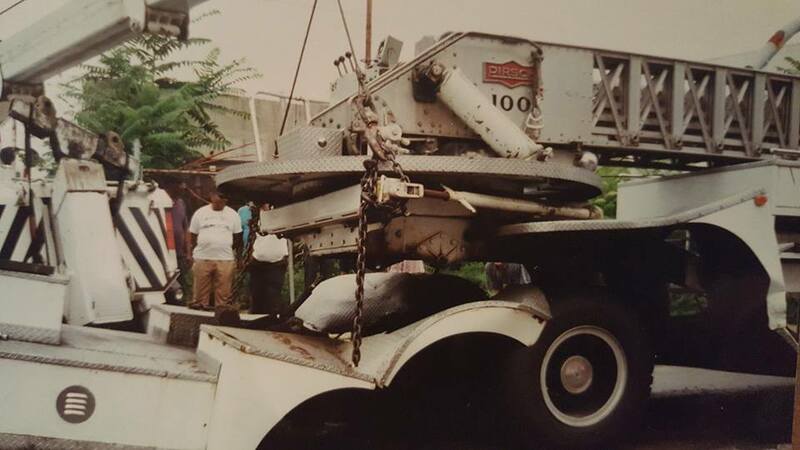 In the collision Engine 9, weighing 16,800 pounds, was pushed sideways approximately three feet by the force of the impact. The chassis was broke and the driveshaft damaged. 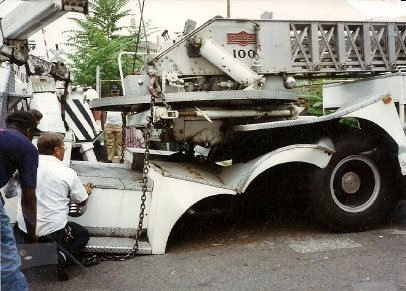 The Fox had to be towed away from the scene. At the time the odometer showed only 1200 miles. 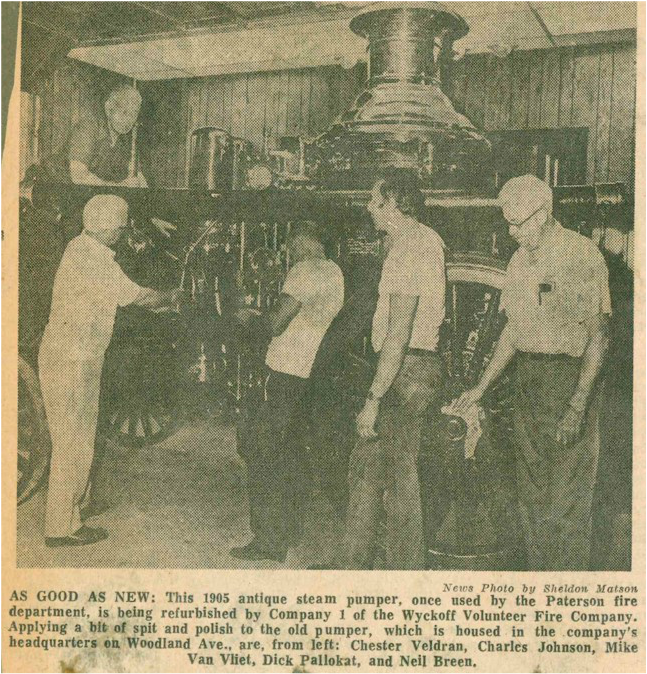 The pumper was shipped back to the Ahrens Fox plant in Cincinnati, Ohio, to be rebuilt before it was returned to service with Engine 9 three months later on August 8, 1938. Captain Strathearn became Chief of the Department in 1952. 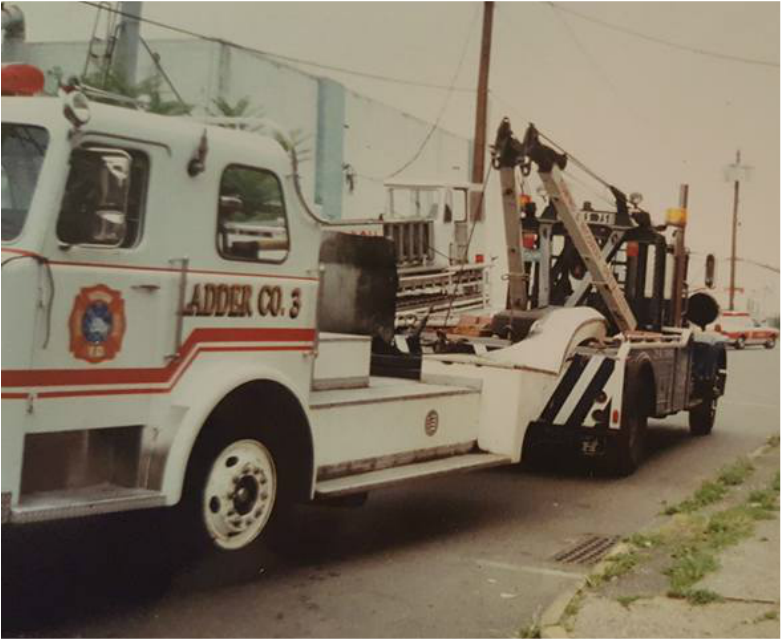 Engine 9 carried the dubious distinction of being the first Paterson Ahrens Fox pumper to be involved in a major accident. 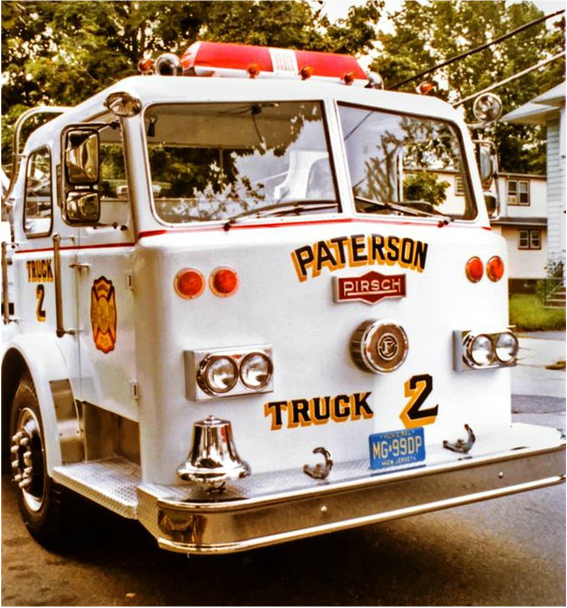 Ultimately after its Paterson career ended it was sold to and restored by the West Paterson, NJ Fire Department. 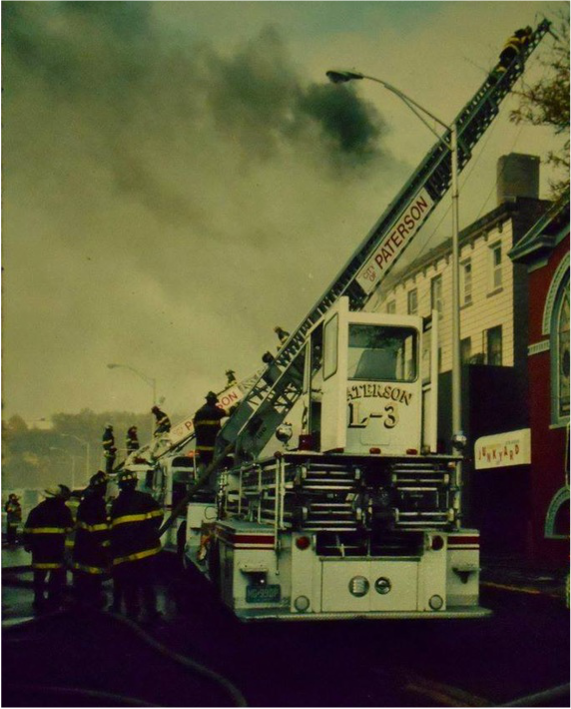 June 20, 1964: Paterson purchased a new 65' Pitman Snorkel on an FWD Chassis which went in service as Engine Company 7 and manned by the men of Engine 7 at Southside Firehouse on Getty Avenue. 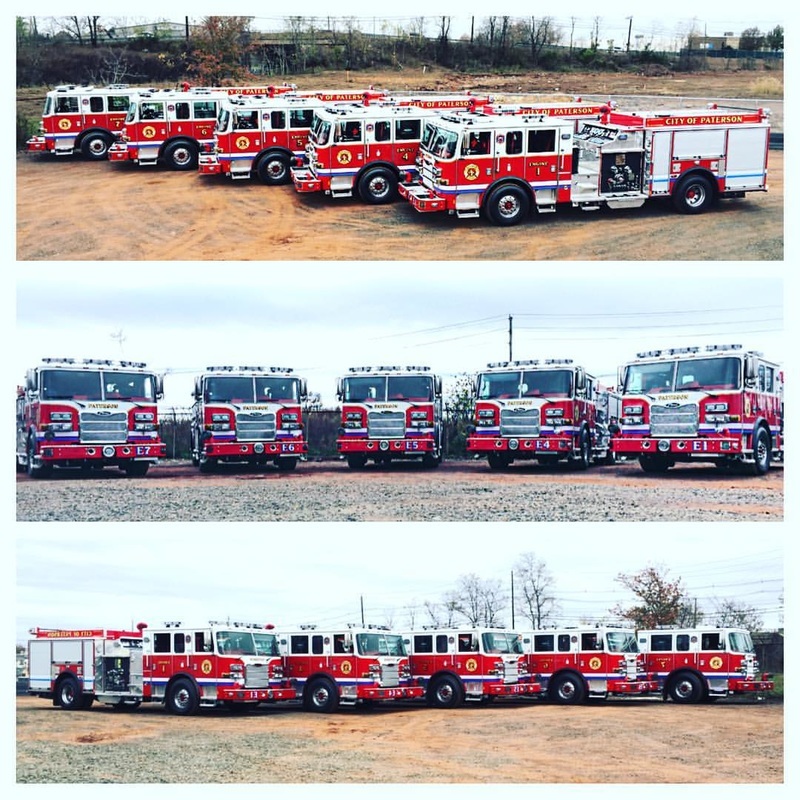 It responded to Engine 7 assignments and all second alarms. 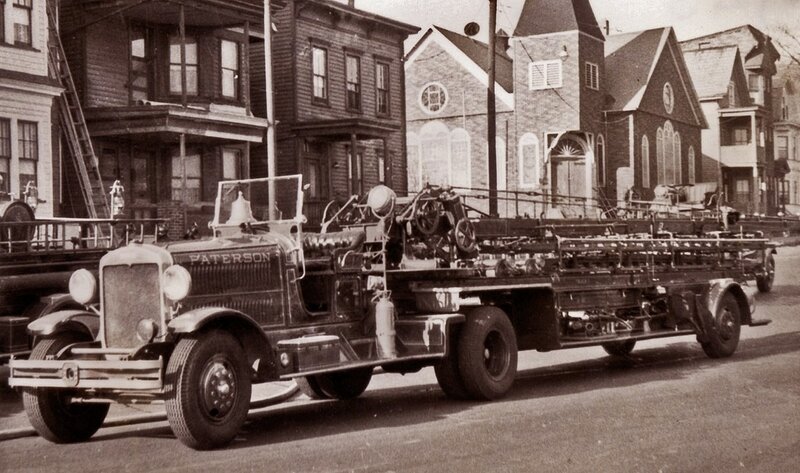 It's radio call tag was PA (Paterson Apparatus) 7. Interestingly over the bay door of the firehouse was a Snorkel No.1 sign. 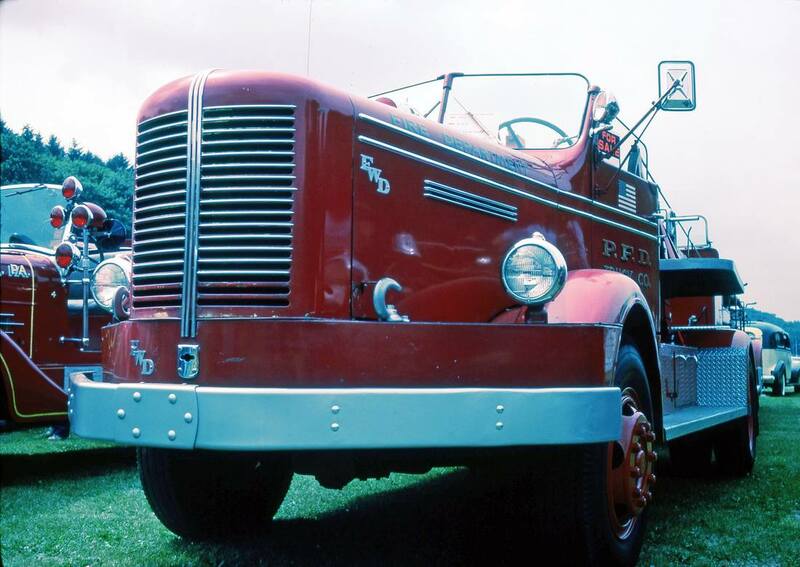 June 25, 1981: The 1964 Pittman Snorkel was taken out of service with the closing of Engine Company 7. 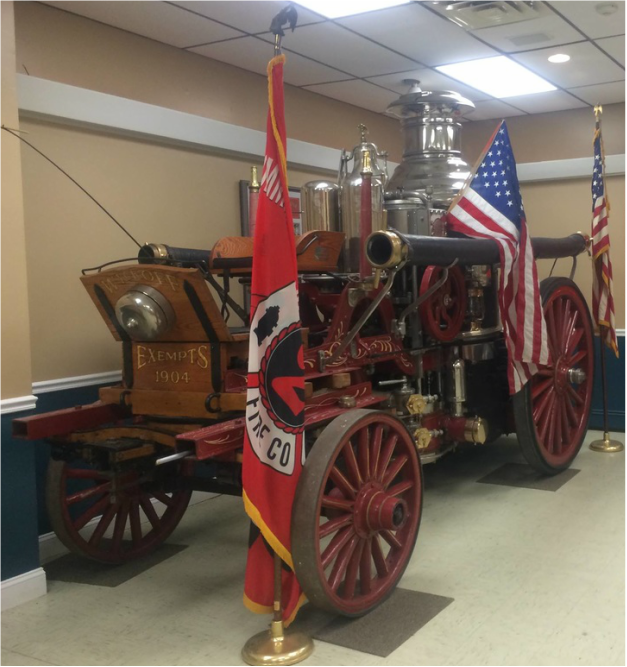 After being retired by Paterson, the Pitman Snorkel purchased by a construction company and in 1993 was sold to and rehabbed again and saw service at Center Township Volunteer Fire Department in Laporte Indiana. Eventually it was sold to a private entity by the board and trustees. 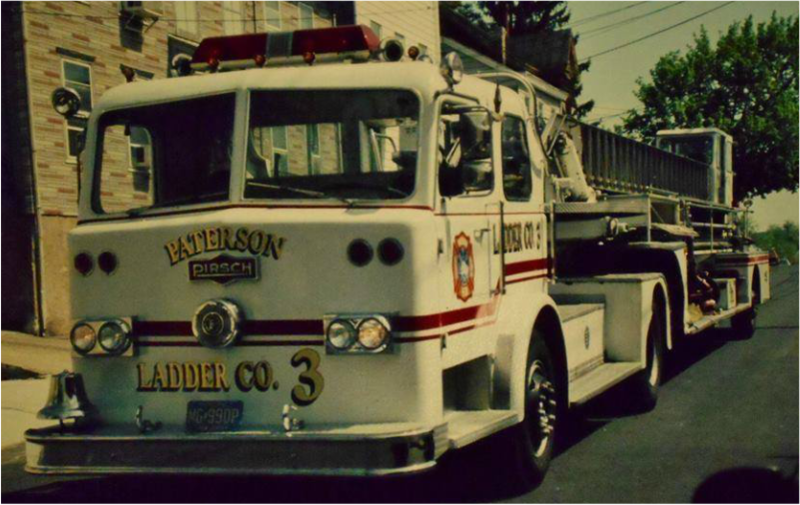 ​It is shown below without markings at Northside Firehouse (serving as a spare) and then as Ladder 3. 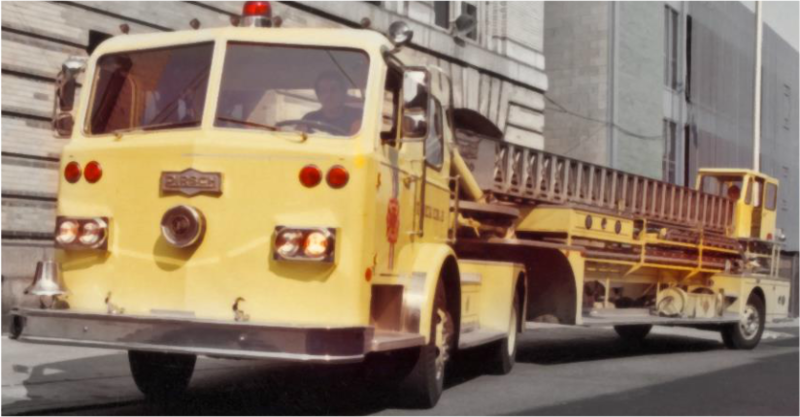 The above restored 1961 Pirsch is often confused with the closed cab 1975 Pirsch 100' aerial (painted yellow) that went to Truck 2 at 115 Van Houten Street (seen in following photos). 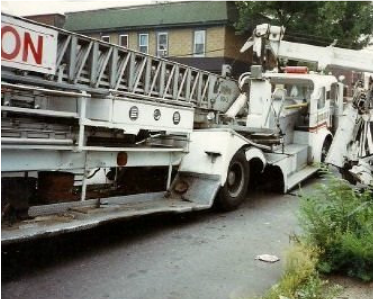 Ultimately the career of the 1975 Pirsch ended in 1989 when the tractor collapsed at Governor and East 18th Streets. Ladder 3 was on inspection when the box came in. 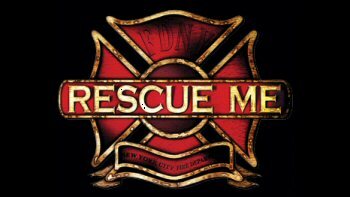 EMS reported a working fire on Broadway. 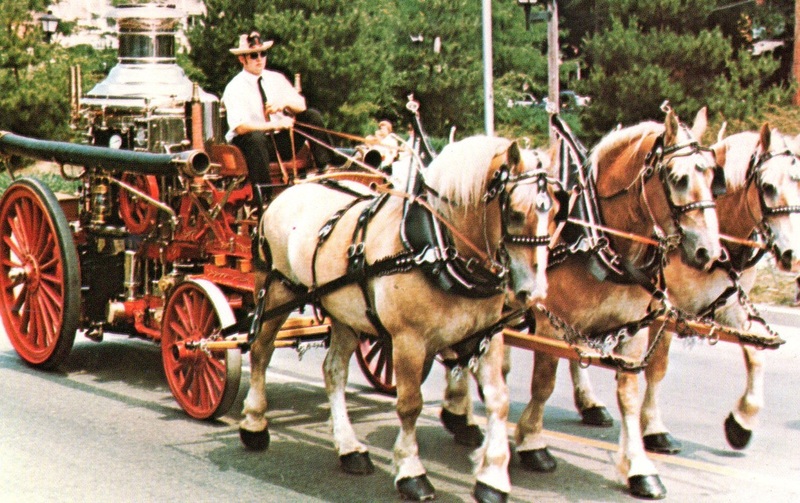 Steve Hatfield was the driver, Joe Murray (the elder) was the captain & Lynn Tolbert was the tiller. 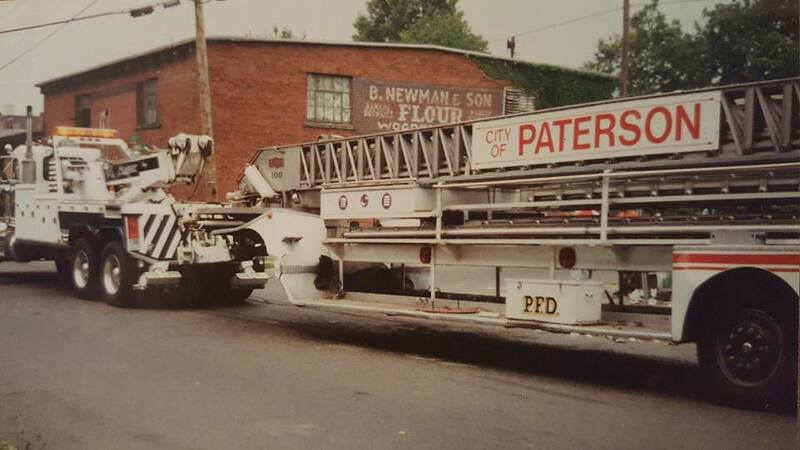 Ladder 1 replaced L3 at the fire.